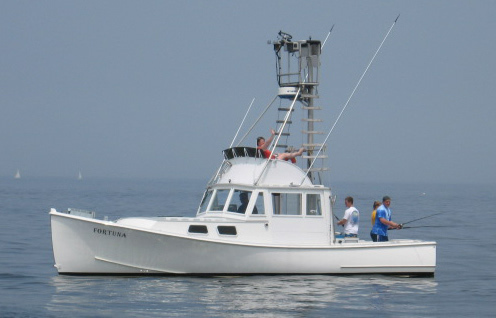 Fishing charter boats for Tuna, Shark, Cod, Striped Bass on Cape Cod Massachusetts. To the web pages of Mass Bay Guides. We have been a family run charter fishing and local fishing guide company since 1999. We are located in Scituate Harbor MA the closest harbor to all of Stellwagen Bank and Mass Bay some of the best fishing grounds in the world. Our boats are traditional down east New England style hulls trusted by local fishermen for many years. Built and setup for charter fishing our boats have all the comforts and equipment needed for up to 6 people per boat. The boats charter fish every day and are well known for their first hand knowledge of where the fishing is the best. Our captains and mates are full time professional fishermen and have fished the local waters their entire lives. We are dedicated to our jobs and our motto is "We Love to Fish". We can even be found fishing on vacation and our days off. Our success can be proven by checking out the website. Our pages are full of all kinds of recent fishing pictures and movies. Not to mention all of the up to date fishing information and sponsors links. We want you to get the best fishing experience possible. And Mass Bay Guides has the fishing experience to make it possible. Mass Bay Guides is located in Scituate MA a fishing harbor with great access to Stellwagen bank and the Shoals of Cape Cod. Charter fishing trips from Scituate harbor 7 days a week. Oceanside lodging and vacation specials available. 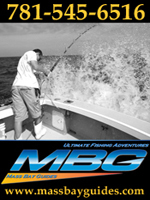 Come and experience one of the best fishing adventures you have ever had! Take your favorite clients or your best workers out for a day they will never forget! Bring your children and friends for an adventure of a lifetime! Multiple bookings welcome up to 40+ persons. Make a twist on the old golf tournament and have a fishing party with multiple boats and a Catered Awards Banquet in one of the local dock side Restaurants. Massachusetts is one of the best places in the world to go charter fishing. 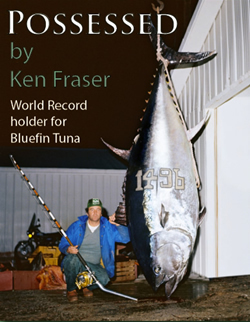 You can catch trophy saltwater fish of all types. Our fishing charter trips will take you to some of the best fishing locations in Massachusetts. You can go charter fishing for cod, striped bass, shark, tuna and many other species of saltwater fish. 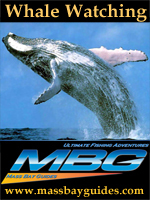 Cape Cod MA has some of the best fishing charters and whale watching in the world. Check out our fishing site with lots of movies, information and pictures of our charter fishing adventures in Massachusetts. 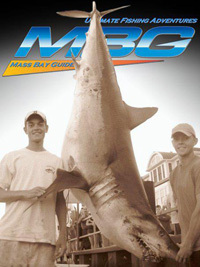 Click here for information on sponsoring Mass Bay Guides. Call us and we will help you decide the best time of year for your fishing charter. Advice is free we want you to have the best charter fishing experience possible.